Here’s a clock for people who are perpetually tardy, and want to stay that way. All of the digits on the dial of this wall clock have fallen off of the face, causing a major numeric pile-up at the bottom. While Nextime’s Fallen Numeral clock does have a functional time mechanism, it really couldn’t give a damn about the actual time. Sure, the hands will move if you put a battery in there, but I certainly wouldn’t point them to the proper locations on the dial or that would defeat the purpose. 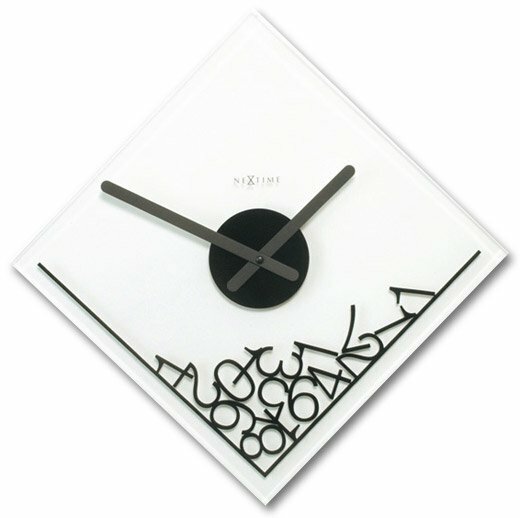 The clock measures just under 14-inches square and features a frosted glass background with black numerals. It’s available from Target for just $29.95.